There are more than 600 muscles the human body composed of. With such a complex system in place, a regular person can’t know them all, so we understand if you’re a little intimidated by the thought. No worries: we will guide you through the most important things there are to know about the entire muscle system of the human anatomy and how to make the best of each group. 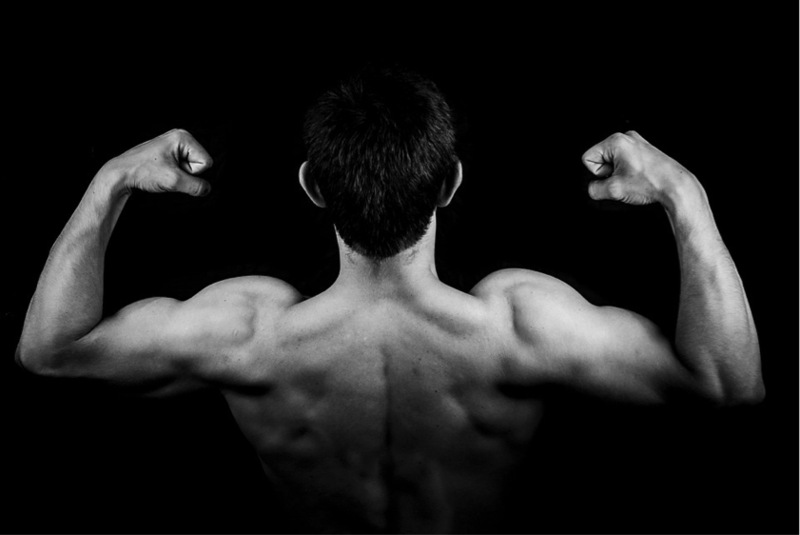 Muscles are considered the only tissue in the body that has the ability to contract and move the other body parts. About 40% of your body weight is made up of muscle tissues. Basically, these muscles are used for locomotion, first and foremost, but also for achieving complex and impressive moves, like those involved in martial arts, for example. To achieve these benefits, it is important to know the body’s five major muscle groups and their functions. The main muscle group of the chest is the pectorals. A well-developed chest is very important because it will add major size to your inner upper body. The chest is a very visible part of the upper body, that can add weight and force to all your martial arts moves. The pectorals or pecs are the large chest muscles. They are full of thick muscle fiber and add bulk to the upper body. The chest is divided into two parts, pectoralis major, and pectoralis minor. They provide support when you hold objects in front of your body and they are activated when you reach across your body. The pecs are activated many everyday movements, mainly at the shoulder joint. For instance, when you grab a seat belt or comb your hair on the opposite side. Another is a basic task like reaching into your back pants pocket or to tuck in your shirt. It is a large, flat muscle on the back that stretches to the sides, behind the arm, and is partly covered by the trapezius on the back near the midline. It is called as ‘lats’ or the ‘wings’. The lats facilitate the body in pulling movements and compliment the arms in pursuing various physical activities like pulling something into your body, or when you take something down from a shelf above your head. Also, they are heavily involved in many swimming movements. The rhomboids are located in the upper back. They are underneath the trap muscles and not visible from outside. They originate from the spinal cord and merge into the scapular bone. These muscles can’t be seen but they play a vital role in strengthening the scapulae and all the back movements. Also known as, the traps, that are located between shoulders and the neck. The traps can further be classified into three divisions- the upper traps, middle traps, and the lower traps, with the lower traps extending as low as the lower back. The traps control the scapulae or the shoulder blades and play an important role in shrugging and neck movements. They are used to tilt and turn the head and neck and shrug the shoulders. They also provide support when you lift items over your head. This muscle lies underneath the ‘lats’. It works with the lats as well as the rotator cuffs. Exercises like single arm lat pulldowns and pullovers target this muscle directly. Compound exercises like deadlifts, shoulder presses, and rows also target this muscle. The erector spinae or spinal erectors is a set of muscles that straighten and rotate the back. They are actually deep muscles that help to extend the spine and are key in posture. They are also important when bending forward, and sideways. This muscle is found in the front of the upper arm. The biceps help control the motion of both the shoulder and elbow joints. At the elbow, the biceps are essential in lifting, and at the shoulder, they help with moving the arms sideways, forward and upwards. Basically, this muscle helps bend or curl the arm toward your body. The triceps are muscles in the back of the upper arm. These muscles help stabilize the shoulder joint and allow the elbow joint to be straightened. The triceps are utilized in passing and shooting a basketball, and help with finite movements such as in writing, drawing or even push and pull. The deltoids, or delts, are known as the shoulder muscles. This muscle group is used on all side of body lifting motions. They provide support when you carry things and help keep carried items away from the motion path of the thighs. The deltoid muscle consists of 3 parts: anterior deltoid, medial deltoid, and posterior deltoid. Every bodybuilder’s favourite muscles are the abdominals. The abdominals assist in the breathing process and protect inner organs. They are key in twisting motions, such as a golf swing or looking behind yourself. They also play a key part in bending over motions, and in maintaining good posture, and are a key focus in MMA (Mixed Martial Arts) training, as well. The muscle group on the sides of the abdominals are the obliques. Movement of these muscles may result in several actions, but they are best known for their lateral flexion and rotation of the trunk known as a side bend. The obliques help support the spine from the front. They are also vital in keeping a good posture. The hamstrings are the huge muscle group in the upper back part your thighs. Its main function is to bend your knees and help propel your body forward in such activities as walking, running, jumping, or doing a Krav Maga kick. 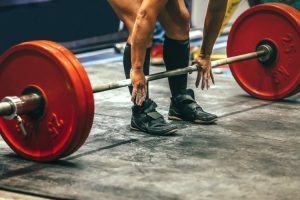 They are also used during squats and deadlifts. The glutes are muscles of your buttocks and the largest muscles in your body. They are key muscles in the movement of the legs backward and sideways. The glutes also help you maintain balance in walking or running. The 4 huge muscles that comprise the front of your thigh is the muscle group called the quadriceps or ‘quads’. The quadriceps is the second largest major muscular structure in the human body after the back. It is located in the upper front part of the leg. 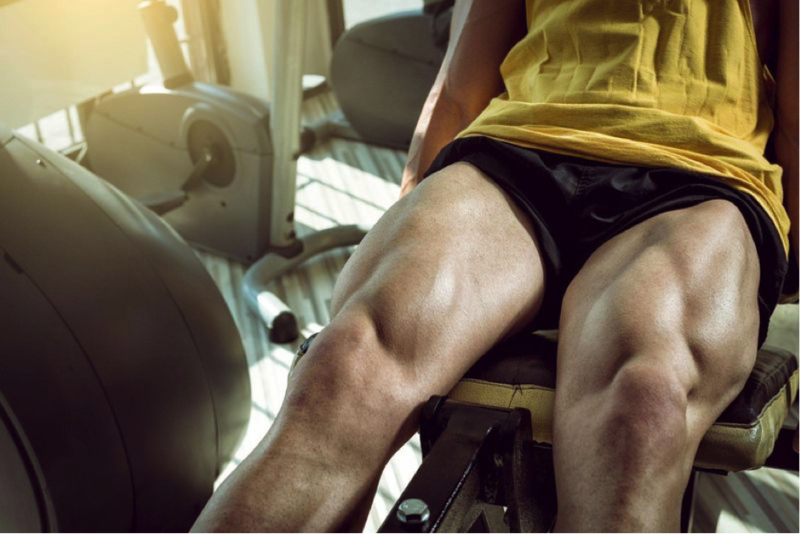 The four huge muscles are namely rectus femoris, vastus lateral, vastus intermedius and vastus medialis. Commonly called as the calf muscles. The calves are located in the lower back part of your legs. They are key muscles when you lift your heels up, such as when you walk, run, and go upstairs. They are also important for explosive moves such as sprinting, jumping and climbing. Try to find balanced workouts that can reserve some exercises for every muscle group in your body. If you feel like anything is left out, take the time for doing a few minutes of targeted exercises, specifically designed for the muscles you feel like you are not working enough. Such targeted exercises are pretty easy to find on YouTube, or you can discuss it directly with your trainer. Even on a budget training camp you will be able to find a dedicated trainer who can walk you through the best ways to exercise for a shaped body. 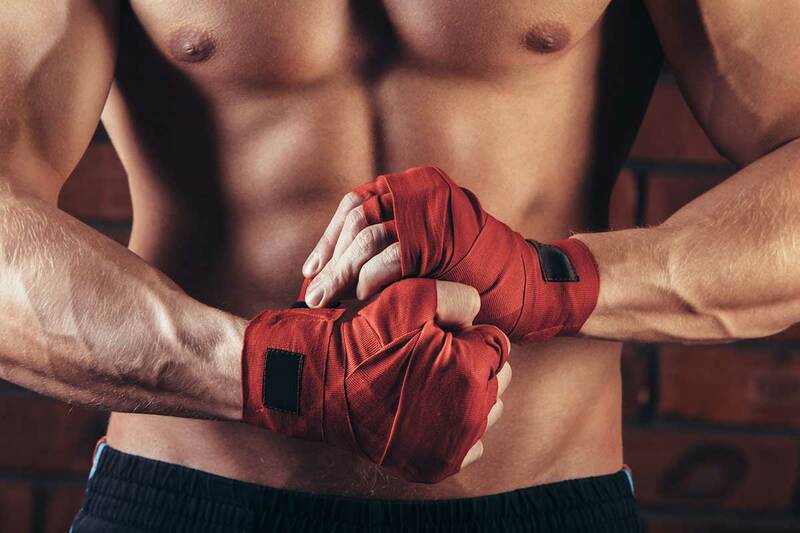 Remember that you don’t need to build bulk, a large muscly body can actually be a disadvantage for martial arts; but you need to make sure that you tone it all up in a balanced way and no muscle group is left out. Authored by Rick Spector, writer contributor at BookMartialArts.com. He has been working with writing for over two years. He spends most of his off-work time training MMA style kickboxing, practicing guitar, and catching up with the latest social media viral heats.